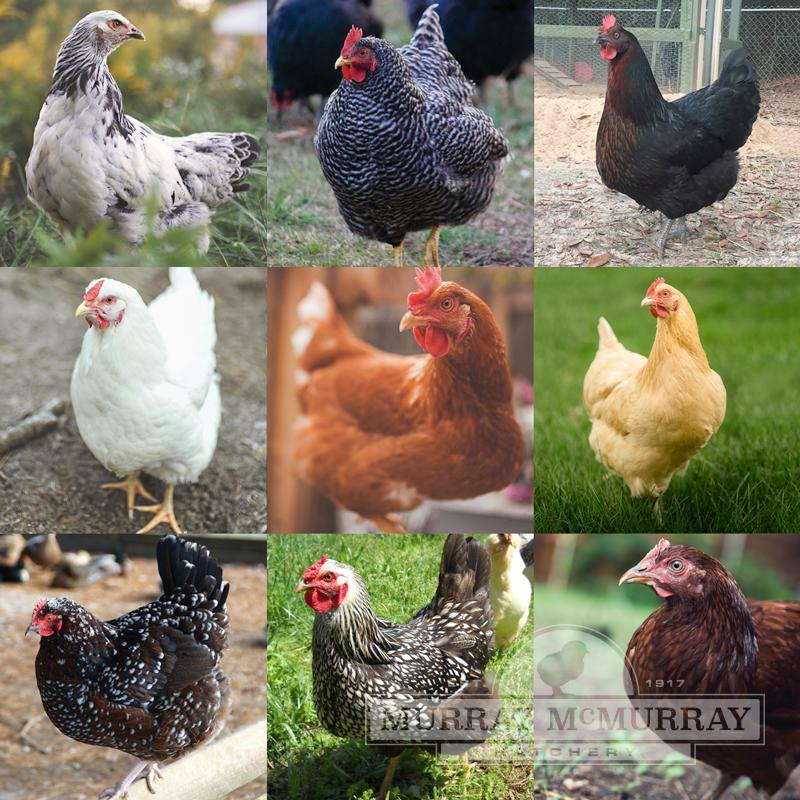 If you prefer large brown eggs and don't need a specific breed, our BROWN EGG LAYERS are just what you're looking for. 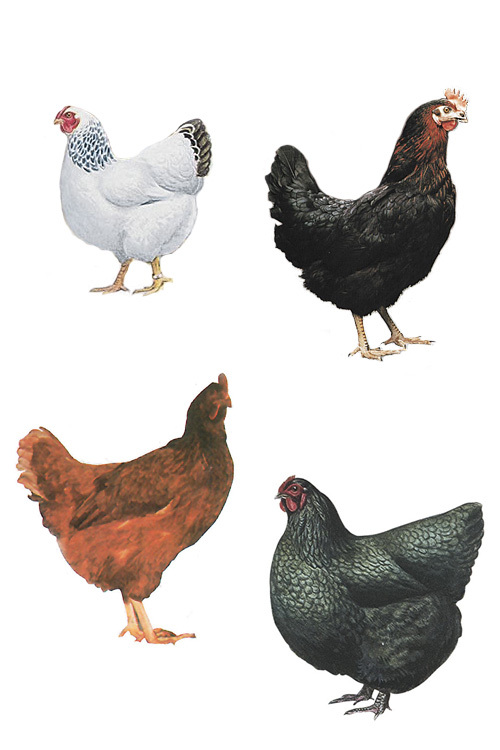 Our choice of varieties, but we guarantee at least 5 different ones (3 in an order of 10) which may include: Black Australorps; Lt. Brahmas; Dark Cornish; Black and White Giants; Buff and White Orpingtons; New Hampshire, Rhode Island Reds, Barred, White, Partridge, Buff Rocks;Delaware, Sussex, Turkens; White, Silver Laced, & Columbian Wyandottes, Red Star and Black Star. These chicks will make a colorful and productive assortment of pullets. Many of our customers use these for stewing hens when they're done producing, creating a wonderful dual purpose. One of our most popular assortments. Assortments may contain additional chicks not listed. What is the age of the BLEP chicks, when shipped? They are day old chicks when shipped. What is the cost of the Brown Layers ? What if I was interested in getting some fall birds? We are currently sold out for this year. 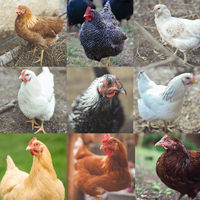 There are no chicks available until 2016. 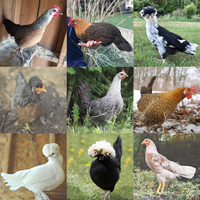 Once the order is filled, will you include a shipping list of the breeds included in our order? 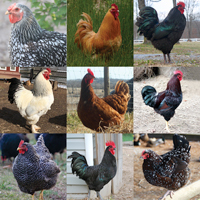 Sorry, we do not keep record of which breeds are included in each assortment. This particular package is females only. The chicks are either vent or feather sexed by our professional sexers. We guarantee 90% accuracy. Beautiful chickensThis is a very neat and fun experience I get to have with the family. The chickens are all healthy and beautiful and look so happy wondering the yard. This is the second time I orjdered from this hatchery and will do it again very soon. good chickensI ordered 15 of the brown egg layers in May (16) and they have started laying in the first week of Sep. I have had 5 double yolked eggs. @ of the chicks arrived dead and one died later. I replaced them with local chicks. I ws given credit for 2 that arrived dead. The usps held them for an extra 24 hours as they missed the truck on 3td day. I believe the USPS was at fault not the hatchery. Unfortunately the extra chick a crested one was one that died. But would order again. Murry Mcmurry is a joy too work with.